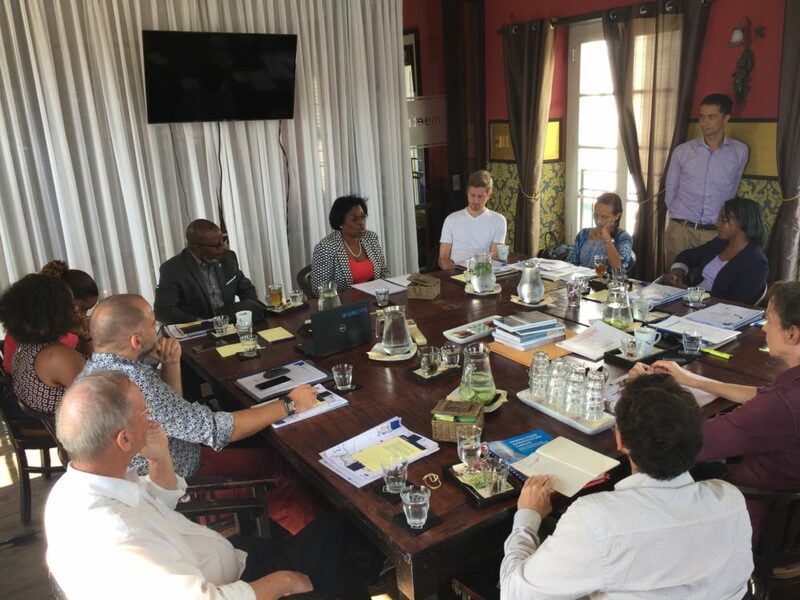 During the Planning Week in Curaçao, a group of local and international planning experts – including three ISOCARP members – developed ideas for a new vision on how to localize the New Urban Agenda to the small island state. 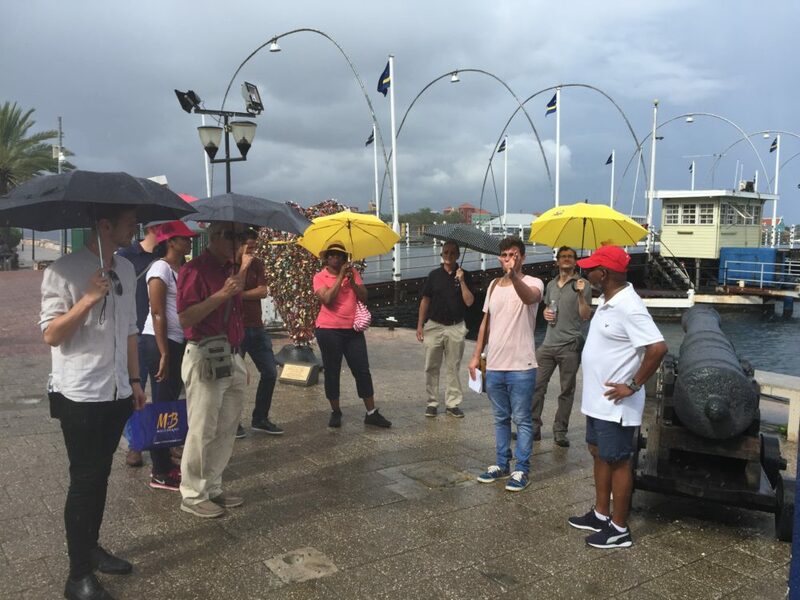 Willemstad, the only city on the island, houses around 75% of the total population and it has spread out over nearly 40% of the island territory. However, less than 2% of the island population is living in the inner city, which is recognized by UNESCO as World Heritage Site. Therefore, while the inner city is decaying, the sprawled city is lacking structure, highly car-dependent and is costly to maintain. On Monday, the Planning Week began with guided tours in the inner and outer city, followed by an official opening of the event by Curaçao’s Minister of Spatial Planning. Midweek, Derek Martin, team leader and ISOCARP delegate, presented a lecture on planning challenges around the globe. On Friday the expert-group presented its findings and planning proposals to a wide audience of governmental and non-governmental stakeholders, and citizens who were involved in the planning process through community-based vision workshops. 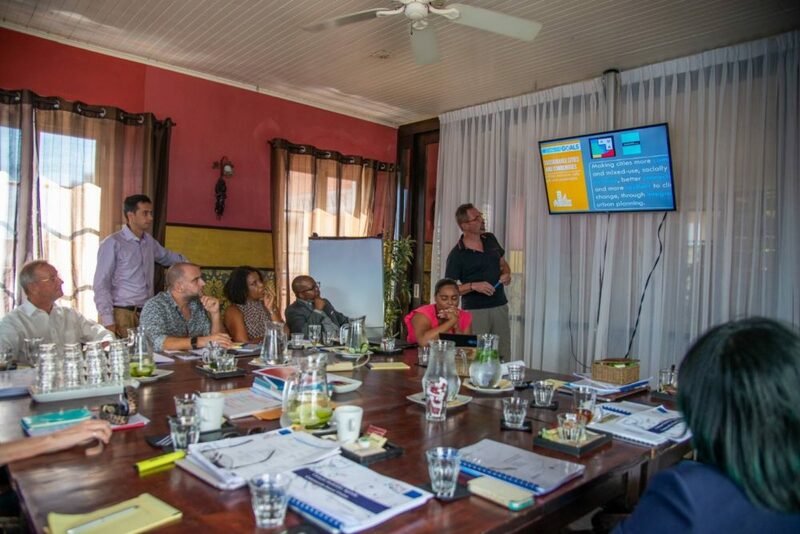 The Planning Week was a production of the Curacao Ministry of Spatial Planning and the United Nations Office for Project Services, in collaboration with the University of Curacao, ISOCARP and UN-Habitat. 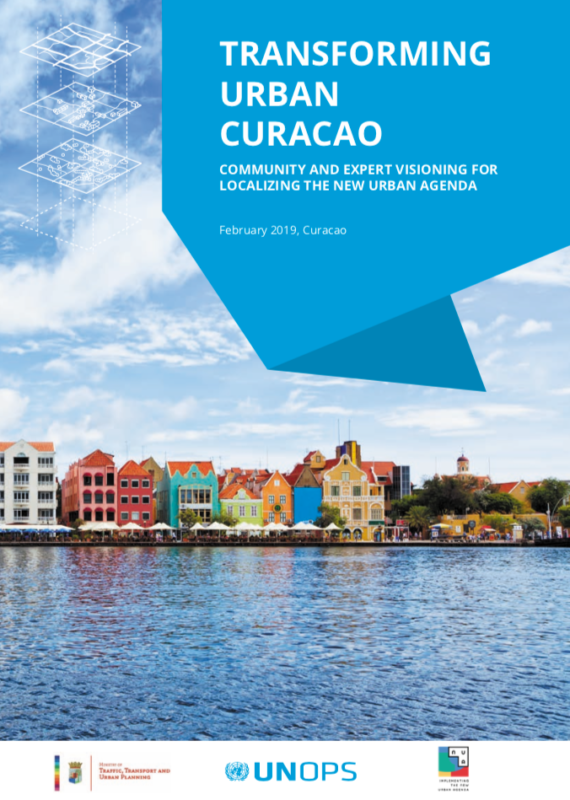 In February 2019, the final report of the UNOPS project ‘Transforming Urban Curacao” was finalised and realised. 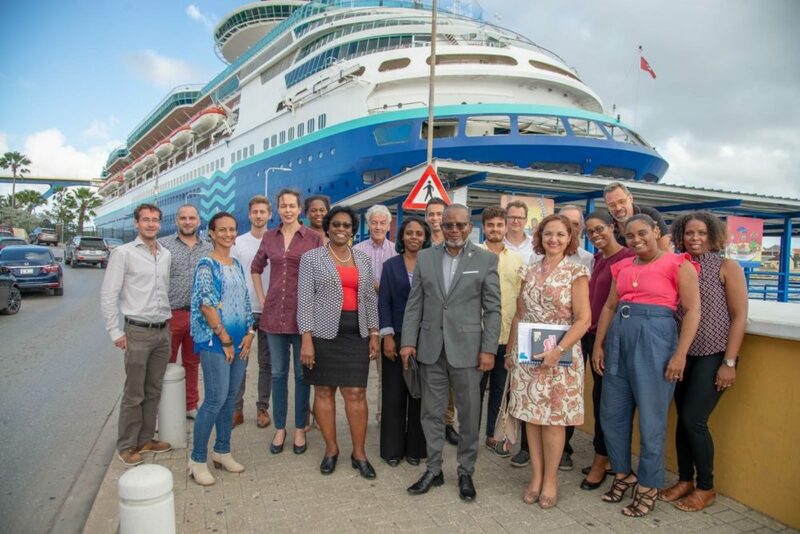 The report describes the process and vision of localising the New Urban Agenda in Curacao in cooperation with the Ministry of Traffic, Transport and Urban Planning. 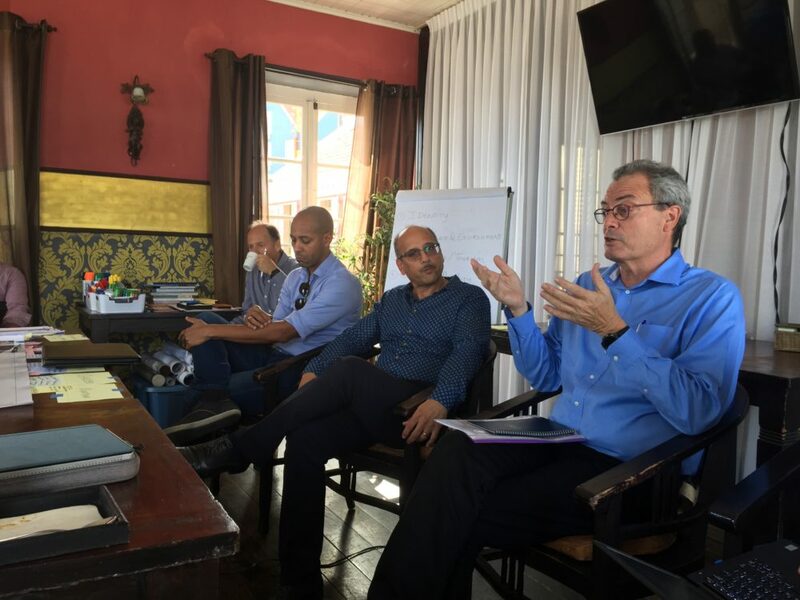 Among others, three workshops were conducted – two community workshops and one international expert workshop. 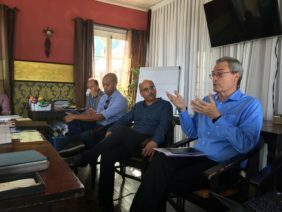 Long-standing ISOCARP member Frank D’hondt was involved in several phases of the project, while three ISOCARP members participated in the expert workshop in November 2018 and the work of them and four national experts are featured in the report. Have a look and let us know what you think! 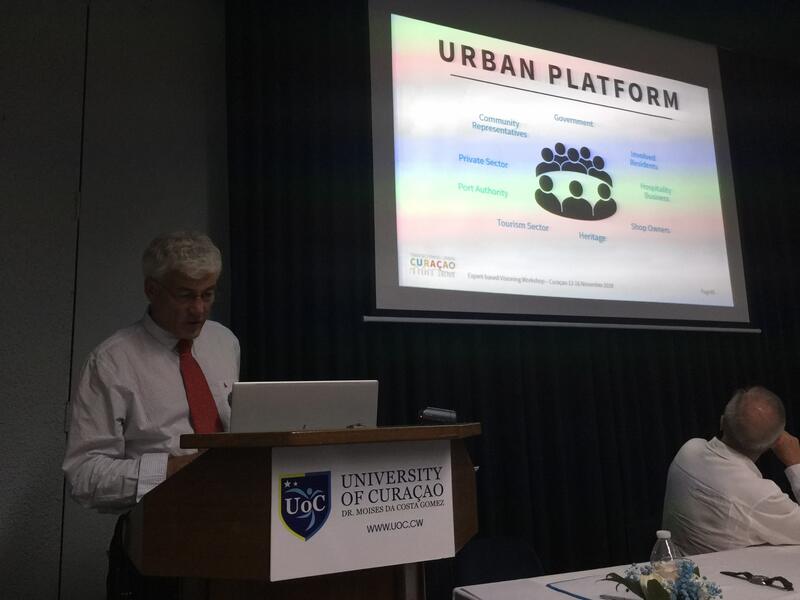 In the middle of the ISOCARP-supported Planning Week to Transform Urban Curaçao, ISOCARP representative Derek Martin held a special lecture on International Planning Challenges. Martin started saying that Territorial Planning is an essential profession to manage the limited terrestrial space we can inhabit without distorting the biodiverse ecosystem. 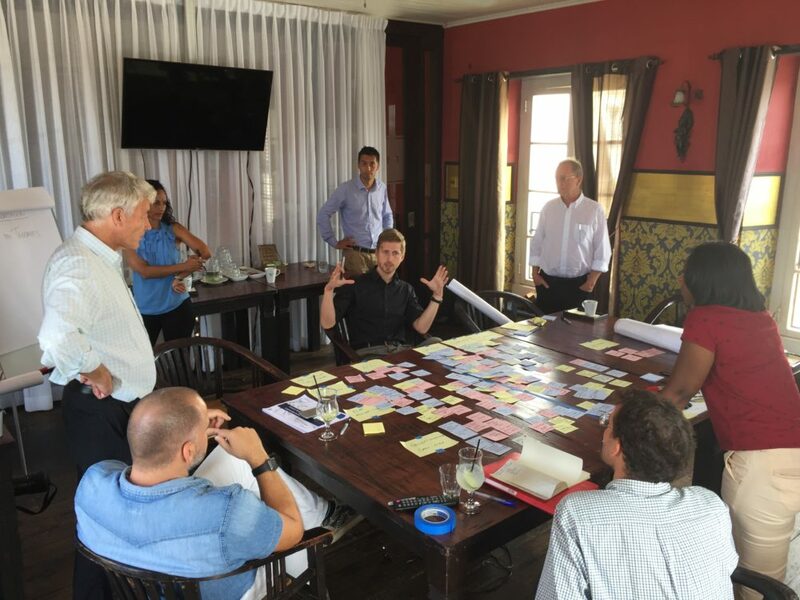 While planning is nowadays often associated with bureaucracy and slowing down development, there is also an emerging trend to reinvent planning as an enabler of sustainable development. While spatial planning gradually took over the term of country and town planning, some feel that territorial planning would be an even better term to express its core business – planning planet Earths territories, beyond the artificial boundaries between countries and states. At the same time, we must reinvent the planning profession to deal with current and rapidly changing challenges including climate change, democratic deficits, social inequalities, migration, mobility and so on. Planners need to be multi-skilled to address all the challenges as a planners community, overcoming short-term/sighted political and business approaches. Martin explained his alternative planning approach along a number of C’s, including Cooperation, Collaboration, Coalition, Coordination, Consultation, Compromise, Co-ownership, and Community.SGDs and the New Urban Agenda are promising new tools for reinventing planning alongside these C’s, Martin believes. However, he ended on a rather pessimistic note on the world’s ‘trilemma’ how to trade off between sustainable development, poverty eradication and population growth, where you can only choose two of those?! Existential planning might be the next buzzword if humankind fails to implement a more sustainable territorial agenda. 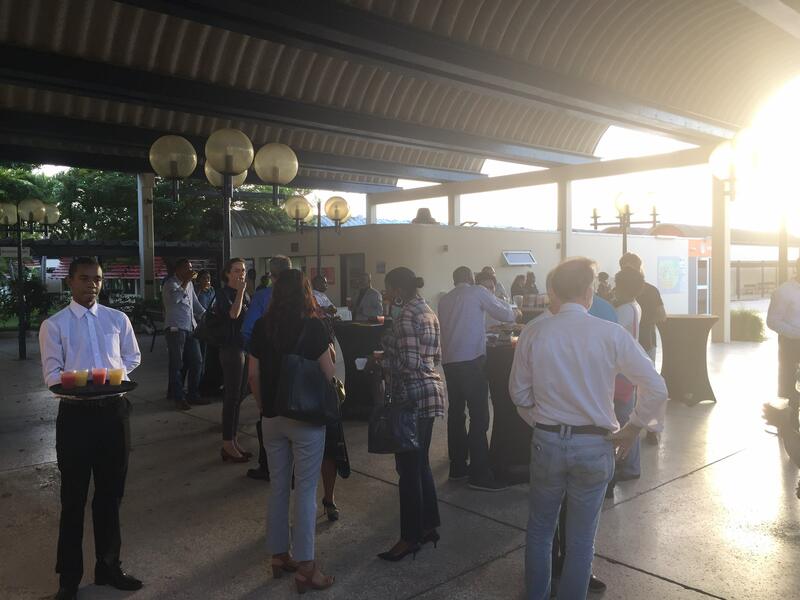 A debate followed with the audience attended by the Curaçao Minister for Spatial Planning and moderated by UN Territorial Planning Expert and ISOCARP ambassador Frank D’hondt. 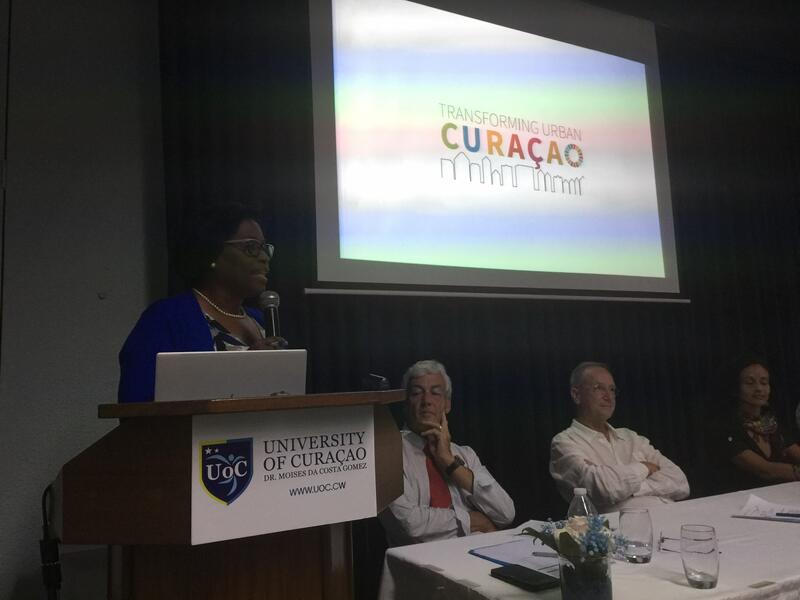 At the University of Curacao, spatial planning Minister Zeita Jesus-Leito opened and closed the final presentation of the international and local planning experts taking part in the Planning Charrette to Transform Urban Curacao. The minister expressed her gratitude for the propositions and acknowledged their relevance to take forward the Curacao Urban Agenda. The vision ideas include a new typology of human settlements from downtown Willemstad over suburban Montana to rural villages and hamlets around Barber town in western Curacao. 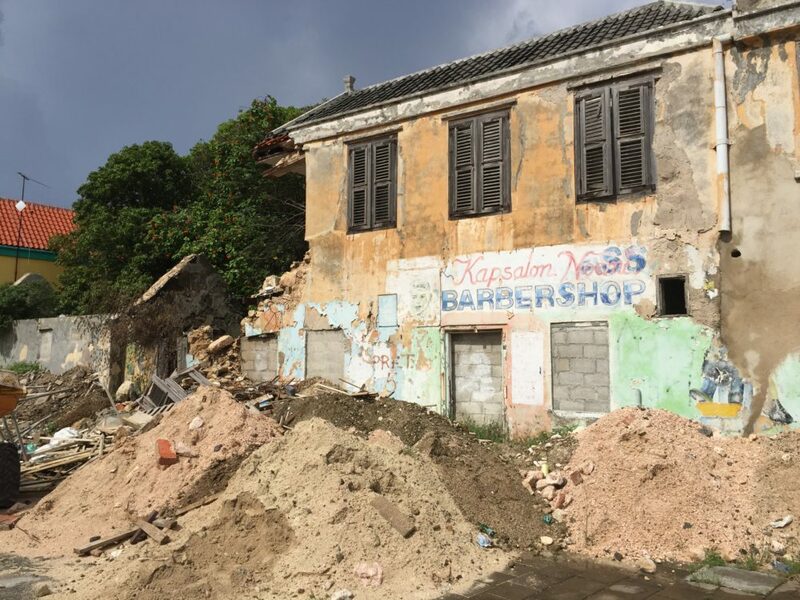 The ideas for rural Barber include an upgrade and densification as a rural town, with additional services that will boost its regional centrality and provide better chances for eco-rural development. The focus on suburban Montana in the eastern Edge-City learned that a random patchwork of low density and low-quality residential units is difficult to transform into a vibrant neighbourhood – indicating that this type of urban development should not be further replicated. 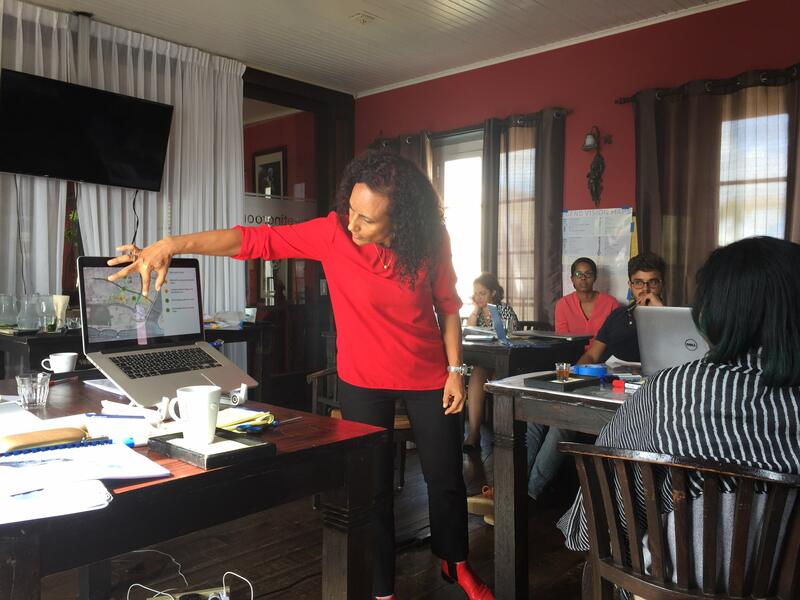 Nevertheless, there are always possibilities to improve spatial quality, which was demonstrated through some incremental interventions related to streets, trails and public spaces. 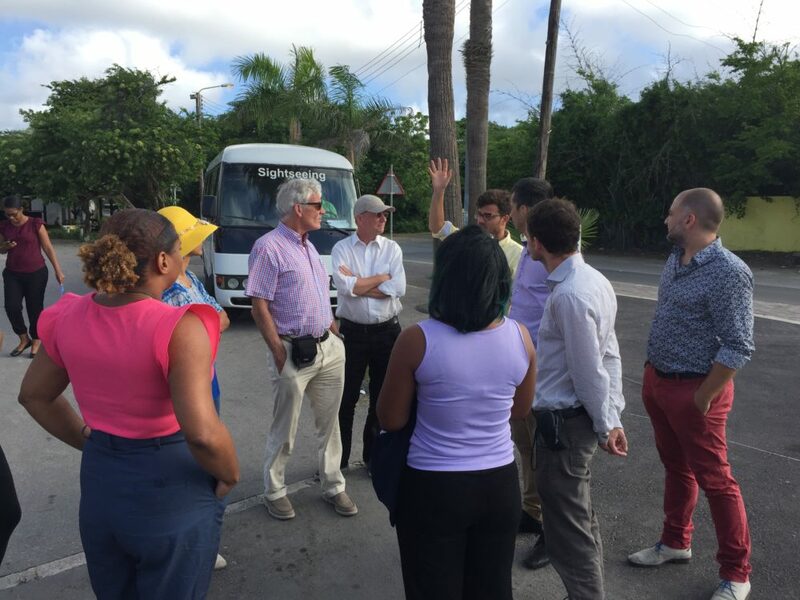 The main focus, however, was on transforming the inner-city with its World Heritage Site. A series of transformational projects were warmly welcomed by the audience to trigger a policy to repopulate the city-centre. 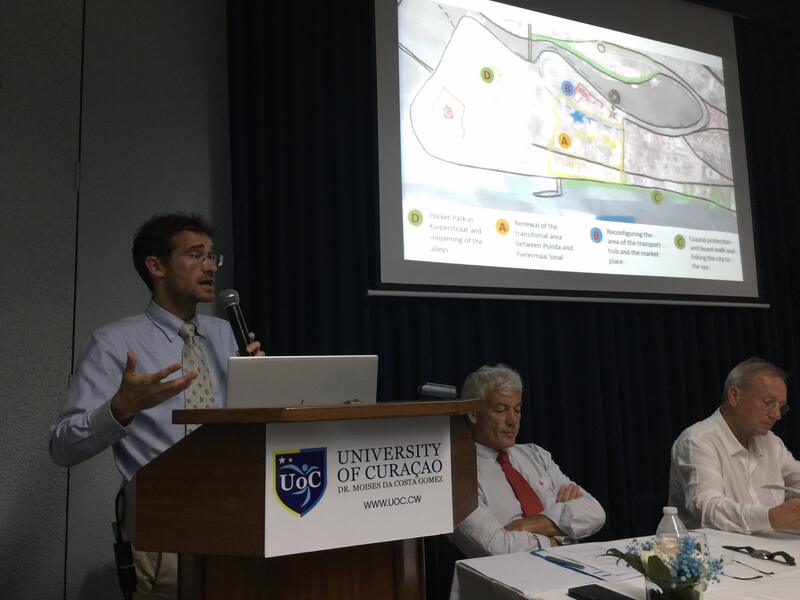 The last part of the presentation provided inputs for a broader policy and spatial planning framework stretching out over the entire island-state, including a clear network of nodes and main connectors, red and green contours to manage urban growth and nature preservation, and last but not least ideas to mitigate expected climate change including coastal defence and water management. The minister thanked UNOPS as its partner on Resilient Infrastructure, as well as ISOCARP and UN-Habitat for its valuable contributions.